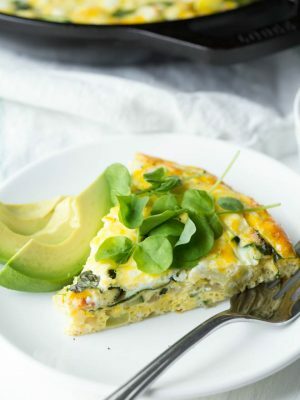 Combine a few simple ingredients to create a Summer Vegetable Frittata! Made with summer squash, goat cheese and mixed greens, this frittata is perfect for brunch. Heat olive oil in an oven safe skillet or cast iron pan. Add the garlic, onion and summer squash. Sauté for 2 minutes. Add the greens and cook for one additional minute. Pour the eggs over the mixture. Top with crumbled goat cheese and bake in the oven for 25 to 30 minutes, or until the eggs are set and cooked through. Remove from the oven, top with additional greens and enjoy!